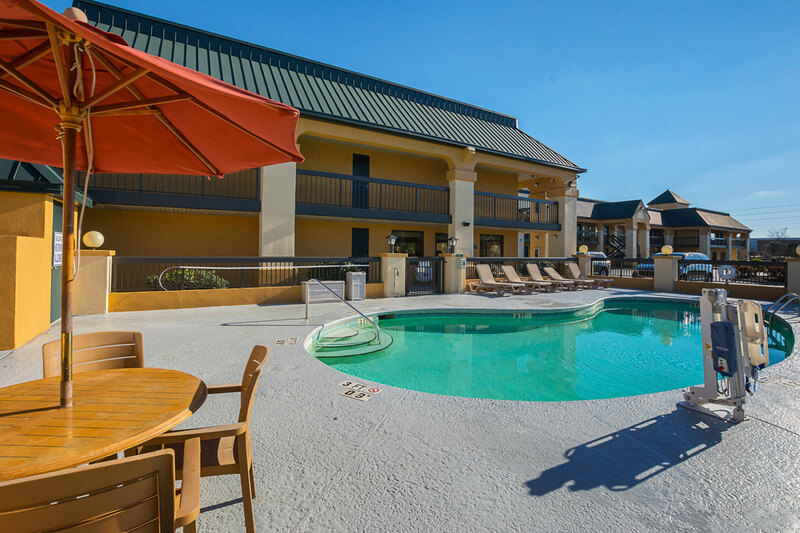 Our Florence South Carolina hotel is conveniently located at the intersection of I-95 and I-20. It is just 2 miles from the Florence Civic Center. Whether you’re traveling to the area for business or pleasure, everyone who stays with us appreciates how close we are to lots of great restaurants. Popular eateries like Percy & Willies for traditional American, Mello Mushroom for stone-baked pizza, and Outback Steakhouse are only only 1 block away. And be sure to save room for dessert so you can grab ice cream at Brewster’s Real Ice Cream before heading back to your room. If you like to shop (and who doesn’t), then you’re going to love Magnolia Mall with its 70 stores located directly across the street. The mall is open Monday - Saturday 10 AM - 9 PM, and Sundays Noon - 6 PM. Florence South Carolina is home to Darlington Raceway (10 mi. ), Florence Center (2 miles), the Florence Museum of Art, Science and History (6 mi. ), Francis Marion University (11 mi.) and Coker College (22 mi.). At Quality Inn & Suites Civic Center we welcome you to stay with us on your next trip to, or through Florence South Carolina! TIRED? TAKE A NAP IN A SUPER COMFORTABLE BED. And, you're going to love our roomy showers too! Yes you are, and well deserved too. Don't forget to bring your suit and sunscreen! the best "Free" hot breakfast in town! Our hot, fresh and healthy breakfast includes eggs, sausage gravy, waffles and so much more!